The concept of alchemy likely conjures images of robe-wearing bearded outcasts toiling away in a cluttered workshop over illuminati-esque texts as they attempt (fruitlessly) to transfigure the everyday into the extraordinary. Building on the alchemic concept of carefully combining materials to create something new and exceptional, Christchurch, New Zealand-based Alchemy Equipment forgoes sorcery in favor of field-tested design. The recently launched brand's full line-up of packs and men's and women's outdoor-focused apparel combines a host of materials and conceals each piece's technical prowess in an elegant, minimalist form. "Every time the industry segments or creates a 'new' product category it narrows the focus at the expense of a utilitarian product solution that better suits most lifestyles," says founder Campbell Junor, whose outdoor resume includes heading up Kiwi wilderness staple Macpac. "We approach things with a few simple objectives like, 'Why can't stylish clothing have a performance element?' Or conversely, 'just because this piece adopts an outdoor cloth that keeps you warm or dry, why can't it have a quiet style and a well-tailored silhouette?'" While many well-known industry names and newcomers alike are attempting to bridge technical outdoor apparel with urban styling, Junor believes Alchemy Equipment is coming to the table with a different perspective. Namely, he is focused on not overly contextualizing the designs in the line and steering clear of trends. "I have spent 20 years building products marketed as outdoors products that spend 90% of their lives in urban settings," Junor explains. "In creating our collections, not only have we raised the bar in terms of the level of fabrication (compared to many 'performance-driven' outdoor companies), but we've made them sit more comfortably in their urban lives." Working with some of the world's premier material suppliers and manufacturers, Junor and his team make no compromises when it comes to quality. Despite being based in one of the world's great wool-producing countries, Junor sources wools from different places depending on the intended use. Where Kiwi merino is the best for moisture management, Italian Pontetorto wool offers the best protection from the elements—as seen in the Laminated Insulated Wool Parka. 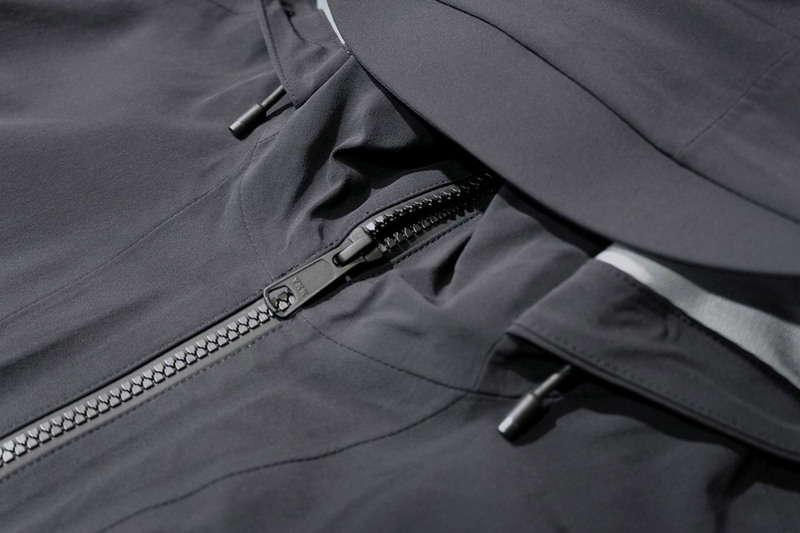 Alongside natural materials like wool, Junor's line makes use of leading technical fabrics from the likes of Swiss holy grail of materials innovation Schoeller, as well as PrimaLoft and Pertex. "This is quite a diverse palette of materials, conceived for several different ambitions," Junor says. "What our brand attempts to do is find an alchemy that binds them together in a collection of pieces that work together—often with construction techniques found in tailored garments and more modern techniques (laser cutting, micro-taping) together on the same garment." Cool Hunting is an award-winning publication based in New York City that uncovers the latest in design, technology, style, travel, art and culture.